The reputable wine producer Château Mouton Rothschild has come up with a novel way to help fund restoration projects at the Palace of Versailles outside Paris. 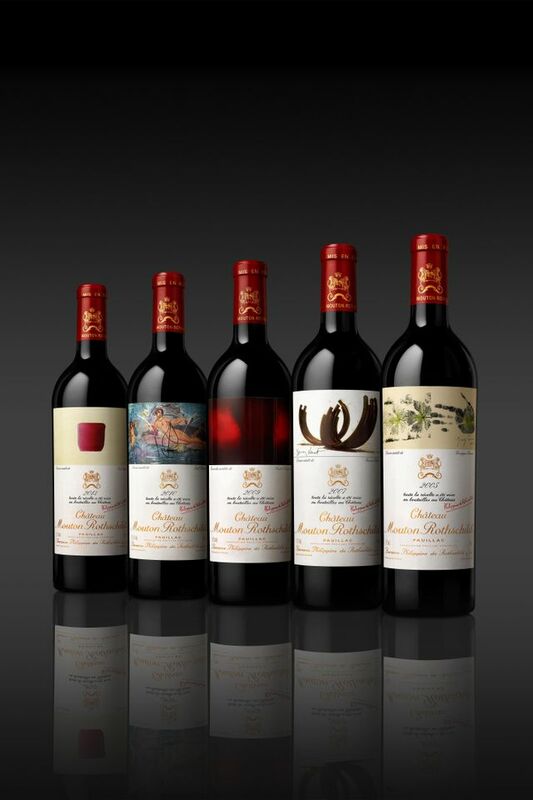 Sotheby’s is due to auction 75 limited-edition Versailles Celebration cases next spring, each containing five Château Mouton Rothschild vintages adorned with labels by five artists including Giuseppe Penone, Anish Kapoor and Jeff Koons (these headline-hitting figures have also exhibited works at Versailles). Every year since 1945, a high-profile artist has illustrated the label of Château Mouton Rothschild, with Georges Braque and Francis Bacon among the figures entrusted with designing the labels (sans stains). Kapoor’s label meanwhile sounds the most beguiling. “The flamboyant gouache he created expresses the fertile thrust of plant life, the result of an intense encounter between matter and light,” the project organisers say.